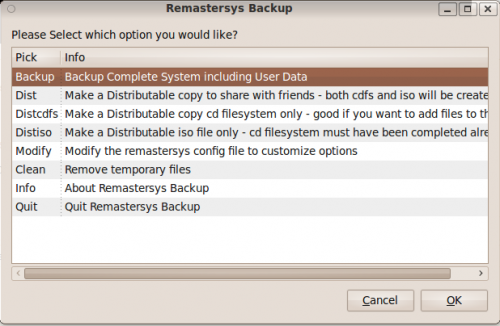 Remastersys is a backup tool that can backup complete ubuntu system including user data and create both cdfs and iso image.So you can use this backup to reinstall ubuntu or install in other computers with all installed packages and user data. 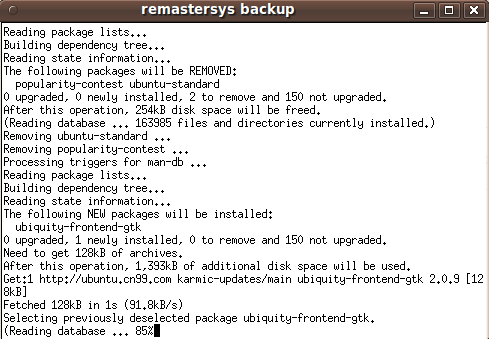 At last,search “remastersys” in System->Administration->Synaptic Package Manager,mark and install. 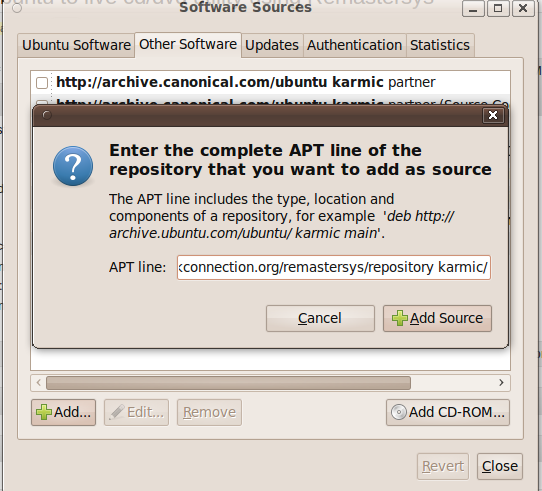 Now,using this iso to create a live cd/dvd and test it! Note:There’s no install icon in desktop when you boot up from this live.Use System->Administration->Install instead.You’ll be asked for user and password for login from this live cd. 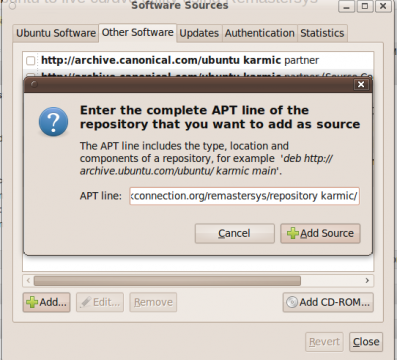 1 user responded in " Backup your own ubuntu to live cd/dvd utility using Remastersys "
And when you get real serious… you can learn how to create YOUR OWN distro.